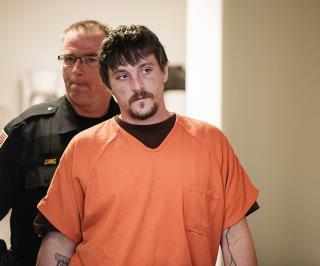 (Newser) – A man accused of stealing an arsenal of firearms from a Wisconsin gun shop and sending an anti-government manifesto to President Trump says he wishes he had died in a gun battle with police, the AP reports. Joseph Jakubowski said his 10 days on the run last April were the best days of his life. Jakubowski's trial began in federal court on Monday. WMTV reported testimony ended on the first day after both sides called all their respective witnesses. The jury will reconvene Tuesday morning to deliberate. In an interview with the Wisconsin State Journal, Jakubowski said he's proud that he was able to publicize his anger and frustration toward the government. But, he says, he would rather have died in a gun battle with officers: "I haven't been afraid of dying for a long time. How can you value life when you're told what to do for your entire life?" Just to show what a great guy I am, I wish he had died too. When I think of criminals and mathematics I always appreciate the minus sign. "How can you value life when you're told what to do for your entire life?" Let us know in 20 years.